Kanga's (below) fur is jet black in the winter but in the summer it goes a bit brown/ orangey - so here's the proof we've had some warmer days! I made this salad last week & its become my new favourite thing - great on it's own for a light meal, or it goes really well with grilled fish or chicken if that's your thing or add some Tofu or beans for a more substantial veggie meal. 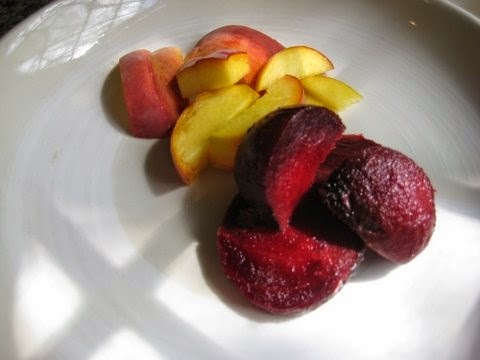 I don't love pre cooked packs of beetroot (unless they're in a chocolate cake), so when my friend Lesley introduced me to roasted beets a few years ago it was a total revelation & they've been one of my favourite foods ever since. Now sadly Lez has flown to pastures new (Australia) so I have to make my own! That being said, if you like pre packaged beets, then by all means use them instead. Roast the beets for up to 2 hours the skins will start to crinkle and if you poke a knife in the middle of the beet that will give you an idea of how soft & cooked it is inside. when cool, peel & slice. 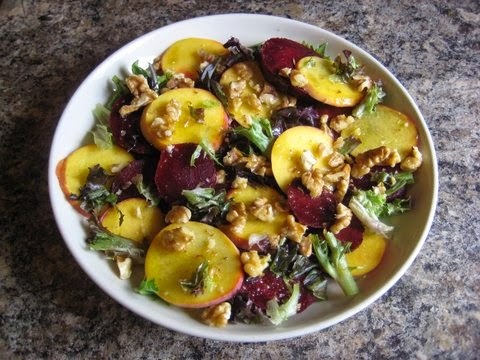 slice the peach up, arrange with the salad leaves, handful of walnuts & serve with the dressing. 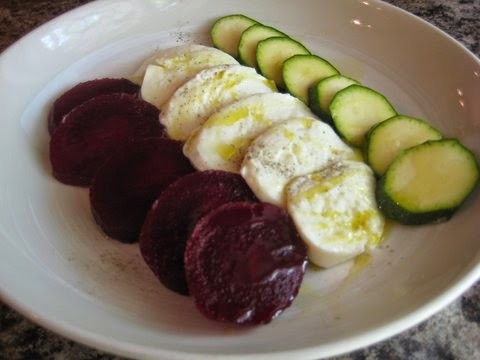 I pretty much always have some roasted beets sitting in the fridge as they are a brilliant base for a quick but easy meal especially at lunchtime when I don't have much time. Some other ideas for quick & easy beet based lunches are. (drizzled with extra virgin olive oil) - or you can use tomatoes, avocado or cucumber in place of the courgettes. 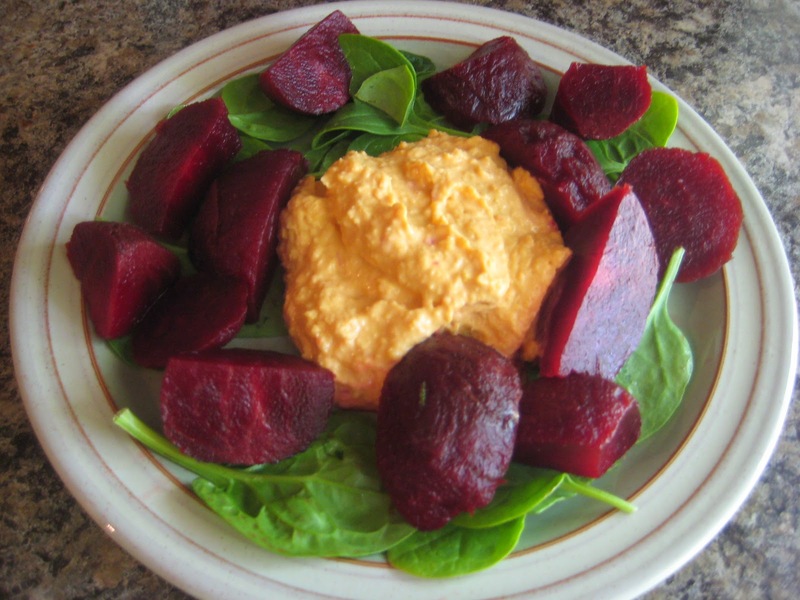 Another simple but so delicious meal is roasted beets, chilli houmuss & spinach salad.